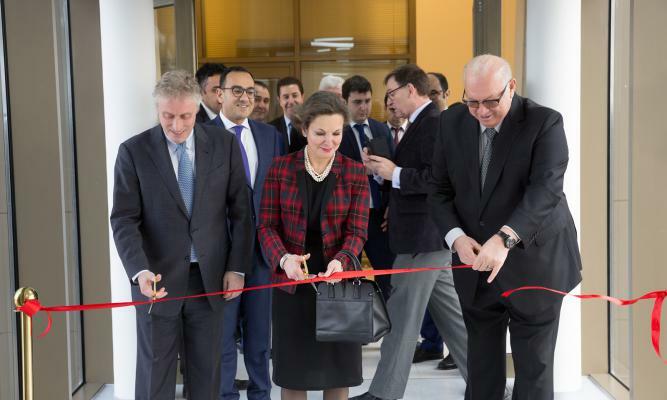 February 8, 2018, Baku – Official opening of Azerbaijan Airspace Supervision & Efficiency Center (ASEC) took place at Heydar Aliyev International Airport on February 8. The Intergovernmental Memorandum on the construction of the ASEC in Baku was signed in March 2017 within the framework of Azerbaijani President Ilham Aliyev’s official visit to France. The document was signed between CJSC Azerbaijan Airlines (AZAL) and French company Thales. 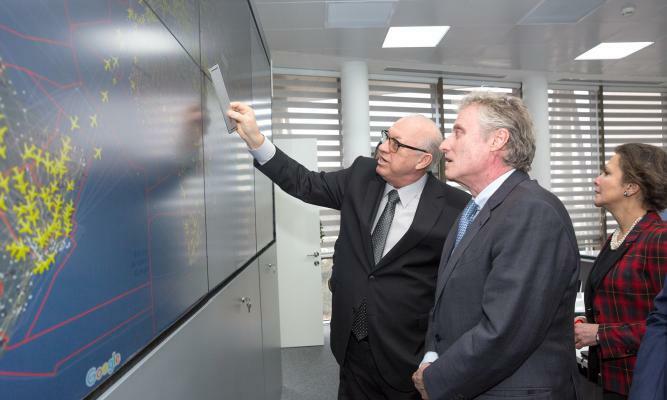 The total cost of the project, which is considered a pilot project for Thales, is 7 million euros. The event on the occasion of opening of the ASEC was attended by President of CJSC Azerbaijan Airlines Jahangir Askerov, French Ambassador to Azerbaijan Aurelia Bouchez, Director of Azeraeronavigation (AZANS) Air Traffic Control Department Farkhan Guliyev, First Vice President of Thales International Raphael Eskinazi and others. 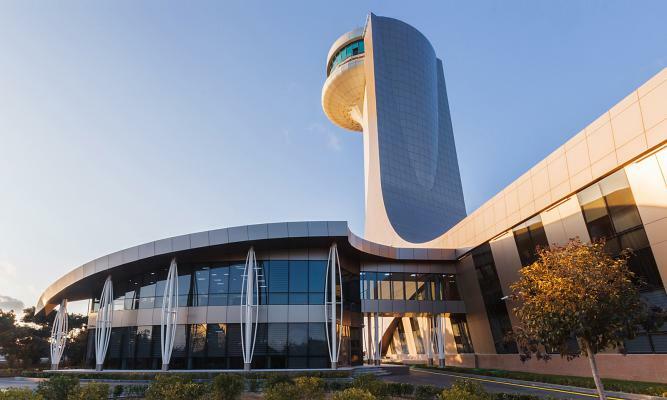 "Innovative experience and latest developments are used in the sphere of aeronautical data exchange at the Azerbaijan Airspace Supervision & Efficiency Centre. 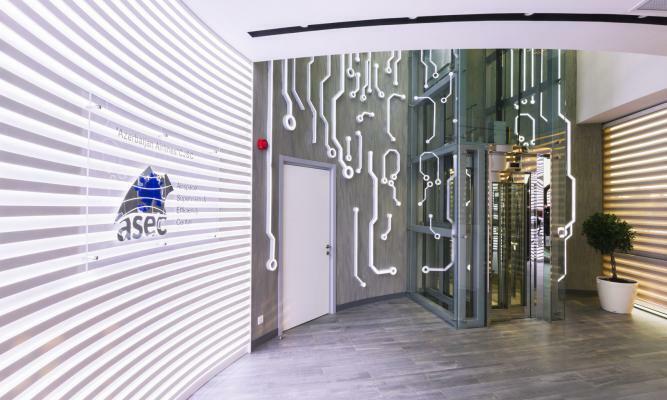 It is a key connecting point in the planning of air traffic flows between the European Organization for the Safety of Air Navigation (Eurocontrol) located in Brussels and the Air Flow Management Center in Singapore. 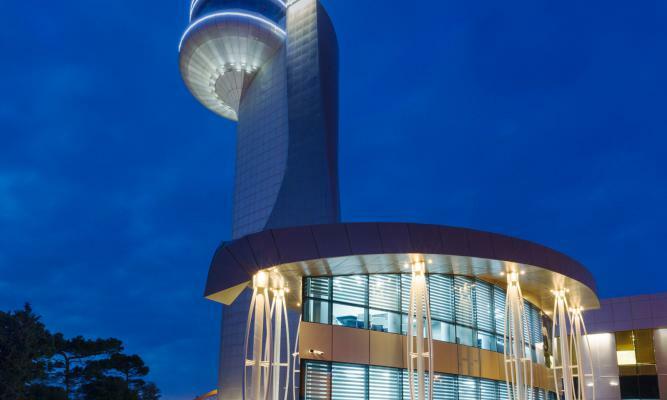 Thanks to the ASEC, Azerbaijan will play the role of a strategic partner of both Eurocontrol and the Asian air flow planning center. There is no identical center in the post-Soviet space and in the countries of the Middle East" - Jahangir Askerov, President of CJSC Azerbaijan Airlines, said. "This project is a sign of a strong partnership between Azerbaijan and France, as well as the companies of both countries. I am highly satisfied with what I saw here, both in technical and aesthetic terms. We are very pleased to have participated in the establishment of such a center, through which it is possible to obtain important information and use it in management. This shows that Azerbaijan is able and will become a transport hub in this region. As the French ambassador to Azerbaijan, I can say that this project is an excellent indicator of our mutual relations" Aurelia Bouchez said. 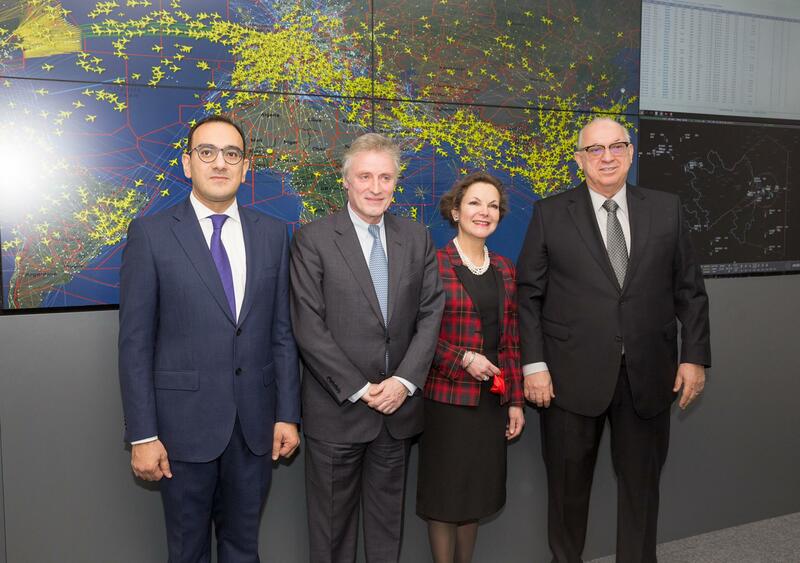 “Azerbaijan Airlines and Thales Group are cooperating for already 20 years and remain as strategic partners. The technology embedded in the Center, a very new system based on the latest innovation in Flow Management and a Center designed in a modern and very audacious way, turns it into much more than tool. It is an additional symbol of Azerbaijan Airlines capacity and readiness to manage the increased number of flights in Azerbaijan’s airspace. I am confident in our capacity to move even further together and conduct even more ambitious tasks” Thales International First Vice-President Raphael Eskinazi said. Today, over 90,000 transit flights are carried out over the territory of the Republic of Azerbaijan. Later, Jahangir Askerov and Raphael Eskinazi held negotiations, during which they discussed further cooperation between AZAL and Thales in Azerbaijan’s civil aviation. Following the negotiations, an agreement was reached to consider the possibility of establishment of a joint venture of AZAL and Thales in Azerbaijan to produce the products of the French company in Azerbaijan. - research of the market of the Azerbaijani airspace’s potential users and their attraction.